For most men, although they don't realise it, their barber is one of the most important people in their life. Use this guide and learn how to find a great barber. For most men, although they don’t realise it, their barber is one of the most important people in their life! A great haircut can set the tone for your look, how you feel, your confidence and self esteem. A bad haircut will destroy your confidence, so picking the right one is key. Once you have found a great barber, you can build a relationship with them over time, so you always get a haircut you like. We all have different types of hair, different length and cut preferences, our hair grows at different speeds and in different places, so sticking with a good barber for the long term will help make sure you always end up with a haircut that you like and suits your style. Use this guide and you’ll find a barber that’ll have you looking sharp and keep up the quality of your look for the long haul. Over the last few years there’s been a re-birth in the barbershop tradition. As men take more pride in their appearance, the traditional skill of barbering has made a return. 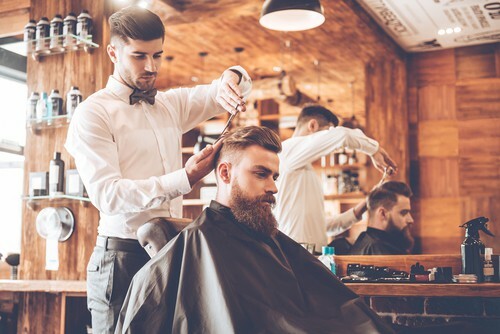 With that, the barbers has become a place where men go for lots of their grooming needs – hair cutting and styling, shaving, eyebrow care and to buy hair care products. A good barbers should look like a barbers, not a unisex hair salon. 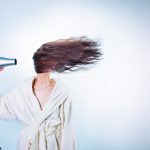 Is the person a barber or a hairdresser? Yes, there is a difference. A barber will have trained specifically in barbering – scissor work, clipper work, using a cut throat razor, hair styling etc. A hairdresser only learns the basics of these and may not train in razor work. They’ll also learn about hair colouring, setting etc that a barber may not. A good barber is usually classically trained in barbering, not hairdressing. Ask them what they’ve trained in before booking an appointment. What do others say about them? I live in a village where there are five barbers. Of the five, I’ll use two. Here’s why… One of them is known as ‘the scalper’. He basically knows one way of cutting hair – with clippers! You can ask for any style and you leave with the same look – very short hair. Another one is a lottery – if it’s the main guy cutting your hair, you’ll get an OK cut. If it’s his Mum, you’ll get a terrible cut. The third guy didn’t train in barbering, so as with the scalper, you get a clipper cut, no matter what you ask for. That leaves me with two options. This is the classic test of quality. If a place or person is busy, it’s usually because they’re good. Take a look at their shop – if it’s full or you struggle to get an appointment, that’s a pretty good sign. I’d also take a look at the haircuts that are being done. Do the people leaving the shop look well-groomed? Does their hair look good? It’s shop-fresh, so at that point should look great! This is key. The stereotype of a hairdressers is that you go there for a chat as much as a haircut. With a barber, they should be paying attention to the cut. For a man, typically we have shorter hair so there’s less margin for error, so I want my barber to be concentrating on his job as much as chatting to me. Don’t get me wrong, I love a good chat, but not at the expense of a decent hair cut! What about the product advice? We all have different product requirements for our hair. For example, if I try to use wax on my hair it goes lifeless, dull and heavy. Instead I use clay and hold it in place with a hairspray or spray gel. I find that gives my hair more texture and a lighter look, not a heavy, greasy look I get with wax. Other men use fudges, some use gels, others use a putty. A good barber will make specific suggestions for you and your hair type and not just sell you the most expensive product. 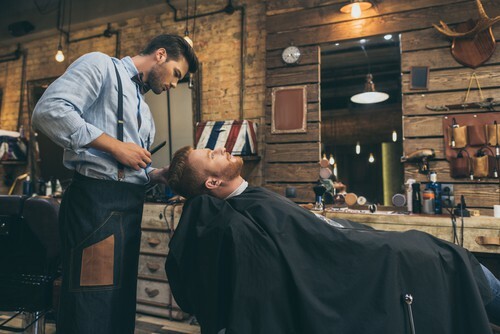 A great barber is worth finding – few people have such influence over your look, so a little homework is worth the effort if it leads to you finding a great barber who you can trust and who cuts your hair well. You only need to do the work once – then you can stick with the same barber for years!